Tirunelveli, one of the important districts of the southern state of Tamil Nadu is basically a rapidly growing urban center. Fondly called as 'Nellai Mavattam' in the local language of Tamil, Tirunelveli is a region that is well fitted with all the substantial utilities and services for its people. The local administration of Turunelveli district is committed to extending all substantive utilities and services to the population, as the principal focus of the governing body is facilitating and furthering the welfare of the local population. Let's get to more about the important utilities and services extended in Tirunelveli. Tirunelveli is a major agribusiness hub in the state as the territorial dominion is one among the leading producer of forest-based products, rice, spices, bananas and coconuts. Besides, Tirunelveli is an important centre of buffalo and livestock as the region is the home of nearly 50% of the buffalo population in the southern state. Apart from agribusiness and livestock business, Tirunelveli is also a notable centre for fishery development and production. The district that is fortunate to have a productive mineral background, Tirunelveli is the official address for a lot of mines, quarries and many medium and large scale industries. Being an economically flourishing district, Tirunelveli is well equipped with most trusted nationalized banks, private sector banks and cooperative banks and ATMs. Some of the important banks in the district include ICICI Bank, Axis Bank, HDFC Bank, IDBI Bank, State Bank of India, Indian Overseas Bank, Karur Vysya Bank, City Union Bank, Union Bank of India, Indian Bank, South Indian Bank, Tamilnad Mercantile Bank, Canara Bank, Bank of India, Repco Bank, Federal Bank, Syndicate Bank, Bank of Baroda, Corporation Bank, Punjab National Bank, Lakshmi Vilas Bank, Andhra Bank, Allahabad Bank, Vijaya Bank, Tirunelveli District Central Co Operative Bank, Pandian Grama Bank and so on. Tirunelveli district is the home of a lot of leading telecommunication players who offer a broad spectrum of services that include landline connection, prepaid mobile connection, postpaid mobile connection, GSM services, CDMA services, broadband internet services, wireless broadband services, 3G services and so on. It is important to note that Tirunelveli is an integral division of the 'Tirunelveli Telecom District' of Bharat Sanchar Nigam Limited (popularly called as BSNL) - Indian state-owned telecoms company. BSNL extends both GSM and CDMA services. In addition, BSNL offers broadband internet services to the local population. Tirunelveli is one among the important urban centres in the country where BSNL's Caller Line Identification (CLI)-based internet access, Netone - a post paid internet service is offered. 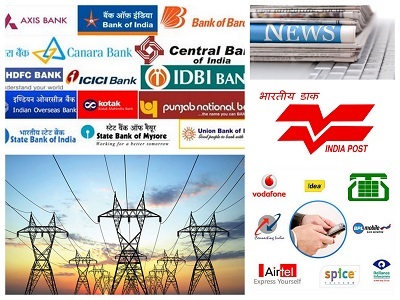 Some of the big names of telecom players in Tirunelveli include Airtel, Aircel, Vodafone, Idea Cellular, Reliance, MTS, Tata Indicom, Tata Docomo and so on. As per the prescribed segregation by India Post, the Tirunelveli postal service falls under the Southern region of Tamil Nadu postal circle. As of now, the southern region of Tamil Nadu postal circle comprises of 3,214 post offices serving a population of about two crores. Tirunelveli district is considered as one of the important postal region as the region houses almost 550 post offices (branch offices, sub offices, head post offices). Tirunelveli is also the home of a lot of reputed private courier services that extend domestic and international courier services with trusted functional versatility and quality customer care. 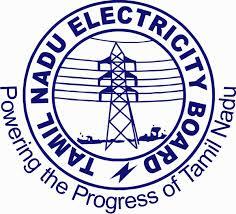 Electricity supply and service in Tirunelveli is governed by the Tamil Nadu Electricity Board (widely called as TNEB). Tirunelveli city is the central office for the Tirunelveli Electricity Distribution Circle and a chief distribution engineer is posted at the regional office.